The first full-length trailer for Beautiful Boy, a harrowing true tale of addiction and family fallout, has dropped. It stars Call Me By Your Name’s Timothée Chalamet, alongside Steve Carrell, as a father and son. It’s based on the memoirs of David and Nic Sheff – they chronicle Nic’s painful, heartrending battle with drug addiction, serious relapses, and a rocky road to recovery, as well as the complex, strained, and intense relationship as a family dealing with his problems over the years. 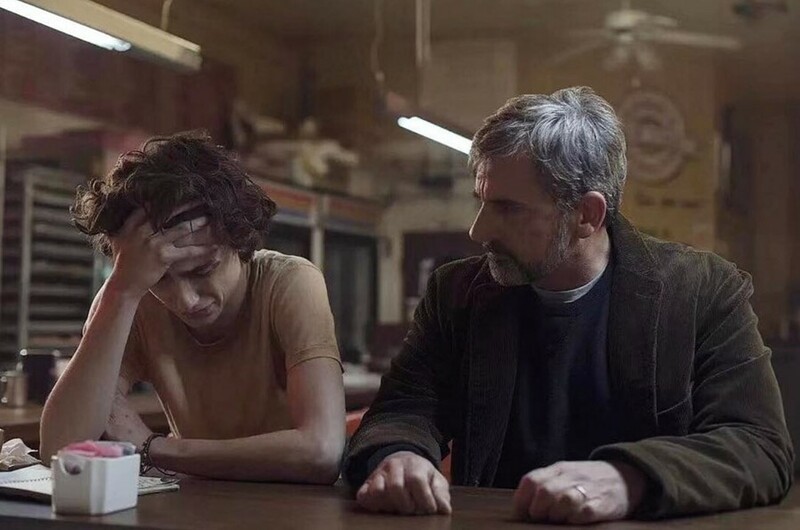 The trailer sees Chalamet arguing with Carrell in a diner, with flashbacks to a happy, loving childhood, and clips of his suffering in the present day as a meth addict. In the minutes-long trailer, there’s the stark message that crippling addiction and illness can take hold of anyone. Directed by Felix van Groeningen, it also co-stars Amy Ryan and Maura Tierney. While Chalamet lost out on the Best Actor Oscar for his part in CMBYN, this one looks like a real contender.